Many people wish for their relationships to stay strong and survive the test of time. But sometimes, you first need to test every relationship before you consider that it is for keeps. There are also reasons why you should let go of a relationship especially if it is not working. At certain times, there are signs that will help you determine whether it is time to say goodbye rather than staying. Here are some of those signs that you should look out for. Some partners seem to think that a relationship is only beneficial for their needs. They always decide on a whim on whether they like to spend time with you on not. Some can be inconsistent on what they would want out of the relationship. Those who are the other half of this type of relationship can end up frustrated. If the signs of inconsistencies regarding the relationship become more and more frequent, then an end to it may just be in sight. There is an air of uncertainty. Indecision can put a dark cloud in any relationship. It can keep relationships hanging. Some people cannot just make a definite decision on where to take the relationship, or if ever they feel that it is a relationship at all. If you find yourself in this situation with your partner, make sure that you give yourself (or your partner) a timetable on when to take the next step. And if that time comes and there is still uncertainty in the air, then it may be time to let go. Lies are a poison to any relationship. It can be used to mislead and to deceive a partner into believing something that is otherwise not true. If a partner has used lying just to try and make the relationship work, it may not be, in itself a good way to do it. Lying breaks the trust that is so important in any relationship. If the lying has led to hurt and pain before and still continues to occur, then it may be time to say goodbye to this kind of relationship based on lies. 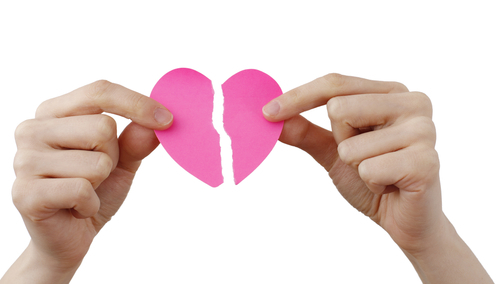 Q&A: What’s The Best Way To Break Up?